Welcome to the Seventy Second Edition of the Owen Guns Bulletin. AGAIN, THE ENEMY WITHIN, STABS US IN THE BACK. Great News the result of much good work by many good people. More than likely putting further tasks on Firearm Dealers as they are doing 95 % of the processing work for no cost to the state already. Legislation requires that they do these tasks at their cost, not at the cost of the state. 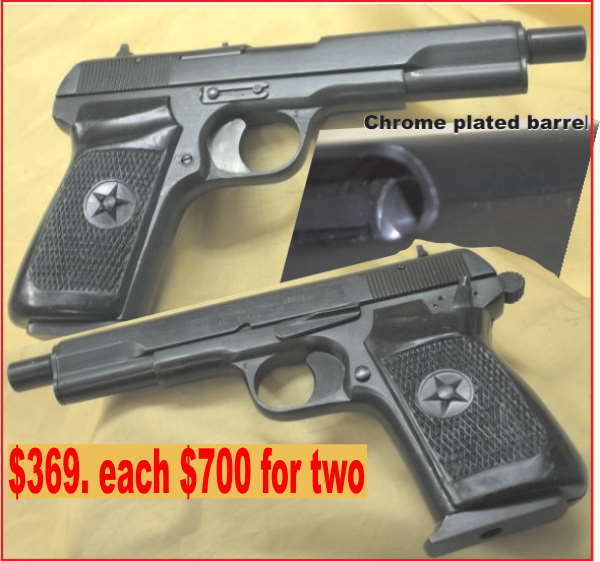 They process the paper work, check the licences, check the Make Model of firearm, serial numbers, check the categories are correct enter it in the Police registers, and forward all the information to the Weapons Licencing. Besides, spending weeks auditing their current stocks and forwarding that to the Police as well. It is onerous, but as they know the product there are less stuff ups, and at the Gun shop end, it works. 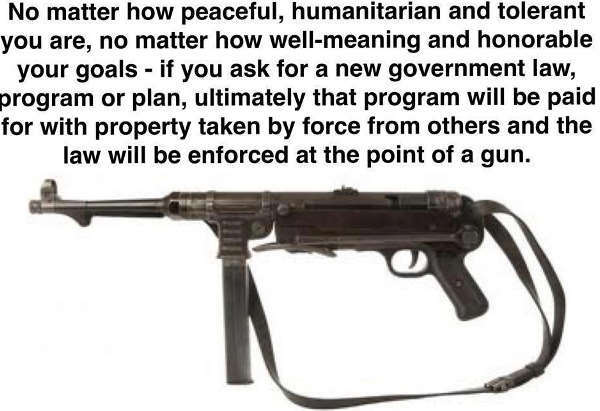 Every shooter I know is ardently looking forwards to some improvements in the tyranny that they are forced to deal with. Surely every licensed shooter in Australia wants less red tape, waste of time and money in participating in our sport our hobby, or to defend our livelihoods and life itself. We the innocent are punished by the State for the crimes of others. 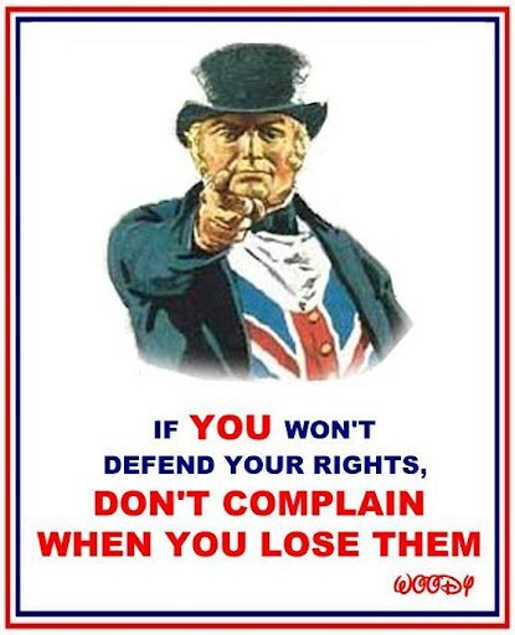 You can have 90 drive by shootings in Sydney the Police will not get one conviction and there only answer will be to make the Licenced Shooter pay more, suffer more, and lose more of his rights. At the Police end it does not work, out of 100 registrations 80 will have an in corrections in it somewhere. We have to seriously consider what use this system is to anyone at all. In Queensland we all are aware that the Weapons Licencing legislation is misdirected unwieldily, costly, error ridden, un workable, and has not saved a life or solved a crime. For many years, certain shooters have been involved in lobbying, cajoling, and annoying politicians into bringing a little more sanity into this State designed tyranny that shooters have to operate under. The Queensland Shooters Association called a meeting and all their affiliated clubs including Pistol Shooting Queensland all agreed on these ten points. Michelle Sandstrom speaks Against shooters on ABC 7.30 report. You can tell by the first few points that Pistol Shooters have the rough end of the deal and have the most onerous and ridicules impositions to deal with. Great sympathy and effort was devoted to improve to ensure that this was included in the 10 points. 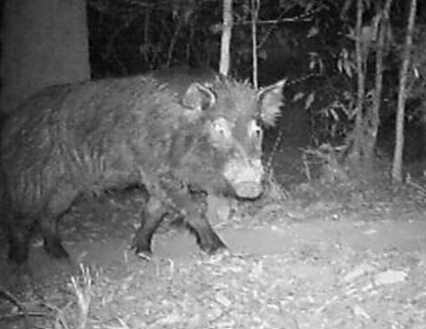 On the 18th September the first meeting was held and even though the Minister had invited Ian Lavers from the Queensland Police Union as he had much criticisms to express, to the meeting in the previous week, he did not turn up at the meeting. Apparently the meeting was successful and they meet again next month. It went world wide, the following comments on an American website shows they were obviously shocked by it. They said this. 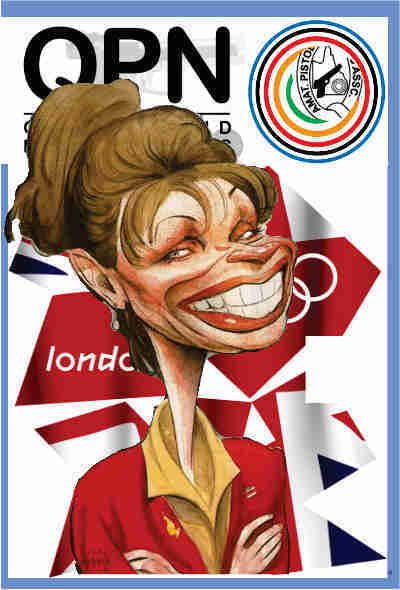 “Just like it worked in favor of Olympic shooters in Britain, who now can’t legally train in their own country? Is Ms. Sandstrom sure she’s not another mass shooting away from having to train in New Zealand? This group sounds to me like it’s filled with people who want to feel like a privileged elite, and view the regulations as a means to keep undesirable riffraff out of their sport. You’ll find the same attitude here too, but in general, one of the keys to our success here in the US has come about by enforcing a strict orthodoxy on those who claim to be part of the community. I totally agree with our American cousin, and will lobby companies like Frontier Arms, and Winchester to cross Pistol Shooters Queensland off their sponsorship list. They both do not need adverse publicity like this from Pistol Shooters Queensland. 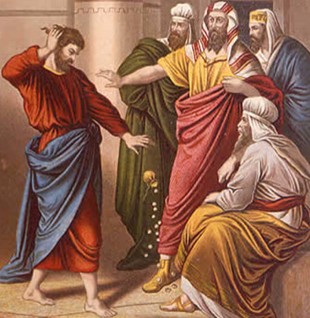 Judas, traitors have never been well thought of. How do we describe a betrayal like this, how do the people feel who have put years of work to bring welcome reform to this tyrannical legislation. Their work destroyed by a few insane words on prime time government Television. The best piece I can think of is by Cicero. “A nation can survive its fools, and even the ambitious. But it cannot survive treason from within. An enemy at the gates is less formidable, for he is known and carries his banner openly. But the traitor moves amongst those within the gate freely, his sly whispers rustling through all the alleys, heard in the very halls of government itself. For the traitor appears not a traitor; he speaks in accents familiar to his victims, and he wears their face and their arguments, he appeals to the baseness that lies deep in the hearts of all men. He rots the soul of a nation, he works secretly and unknown in the night to undermine the pillars of the city, he infects the body politic so that it can no longer resist. A murderer is less to fear. The traitor is the plague.” I suppose the only difference to this, is that in this instance it was a woman. I have an admission, I am ashamed to say that for many years I was a member of the for runner of Pistol Shooting Queensland, The Queensland Amateur Pistol Association, but never again, I could never again be a part of an organisation that opposes its own members human rights. Pistol Shooting Queensland, has been known for years for holding back the growth in pistol shooting due to its extraordinary high dual membership requirements and falsely claiming ownership of every pistol competition in the Country, by a claim of copyrighting the rule books when the competitions themselves predate are older than Pistol Shooting Queensland and its former name Queensland Amateur Pistol Association. Last year they tried to convince Weapons Licencing that pistol shooters could only comply with shooting competition requirements if they were affiliated with Pistol Shooting Queensland. As they claimed copyright on the competition rule books. Nonsense, as claiming copyright has to be proved in Court, as the competitions are older and already used by other clubs they would have had a very expensive time paying out everyone else’s court costs. As there membership had dropped off to near nothing, they have to over charge to keep themselves in a job and an office, desperation was close. The wolf was at the door. I am told that a club like the Brisbane Metropolitan Pistol club with over 400 members might have 6 who are affiliated with Pistol Shooting Queensland. Our local club that had 120 plus members had 3 affiliated. Many country clubs have larger membership than Pistol Shooting Queensland but unlike them get no, government grants, training bursaries, trips to the Olympics, or a position on the Queensland Weapons Advisory Committee. Supporters of Michele Sandstorm Pistol Shooters Queensland 11 and reducing fast since her statement to ABC TV. So why do we have so little impact on our legislators when we are not a minority we are a huge majority in comparison to the forces against us? One) is that our few opponents have more commitment they will go the extra mile to impress TV stations and journalist that they have the will of the majority and that we shooters are a minority. Two) is that we continue to have ‘traitors within’ who fully believe that they gain credibility and government grants, full time paid jobs, trips overseas to the Olympics and Commonwealth Games, so stick with the government bureaucracy that they feed off . The Owen Gun, the best sub-machine carbine of World War II. Invented, designed and manufactured in Australia. Australia, that was at that time under threat of invasion by the Japanese. 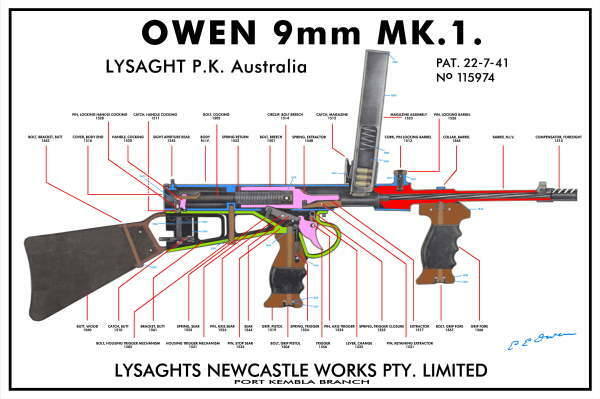 As used, by Lysaghts to train staff in assemble-diss-assembly at the Springhill Works, Port Kembla and Lysaghts Newcastle. These Instrucitonal Wall Chart Posters were also used by the Australian Forces from 1942 to 1967 for training purposes.These Owen Gun Wall Charts are printed on a banner vinyl, so do not need framing or laminating. 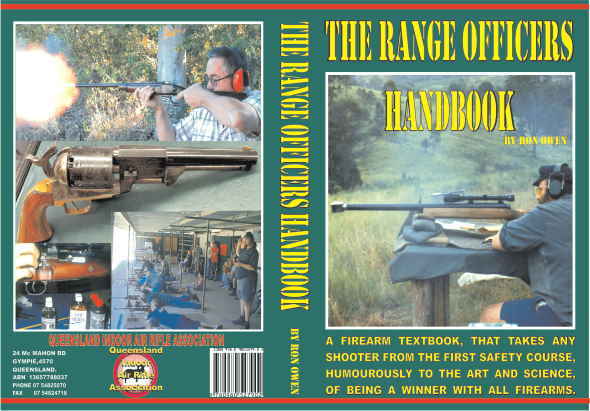 Great for Returned Service Club, Rifle Clubs, Behind the bar, in the reloading room. Complete with the inventors Evelyn Owen signature. Two vinyl sizes 730mm x 480mm $40. plus $12 for tube and postage. 1080mm x 720mm $55. plus $15 for tube and postage. If you want to order by mail Phone 07 54825070 have your card detail handy . Lessons in Shooting at School. The moron who is the CEO of the Queensland Police Union Ian Leavers came out again crucifying Licenced Shooters. Queensland Police Union president Ian Leavers said students’ access to weapons would desensitise them to the “extreme dangers of guns” resulting in a “sure-fire recipe for death and disaster”. “Police don’t want another Columbine High School massacre in a Queensland school like we’ve seen in the United States which could well be an inevitability of this policy,” he said. Where do they find these pea brains, who without thinking make claims such as owning a firearm is a privilege not a right, No one has the right to carry firearms. None of them ‘think’, they just reiterate miss information and other idiots idea’s. Do they ever think? Does a bird have a right to carry its beak and claws? 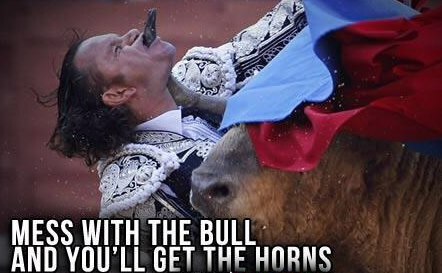 Does a buffalo have the right to have horns? Does a crocodile have a right to carry its teeth? does a squirrel have a right to own the nut that it won from the tree? They are the Laws of Nature. Where does the right come from for the policeman to carry his gun? Where does the right come from for the soldier to carry his gun? Whose property is my body? Mine. I have to regard it as so. If I experiment with it, who must be answerable ? I not the State. If a man has the right to self ownership, to the control of his life, then in the real world he must also have the right to sustain his life by grappling with and transforming resources; he must be able to own the ground and the resources on which he stands and he must use. In short to sustain his “human right”. No power on earth has a right to take our property from us without our consent. Tools manufactured by the human brain are the natural defence of the weak against the strong, if that was not so the human race would not exist. 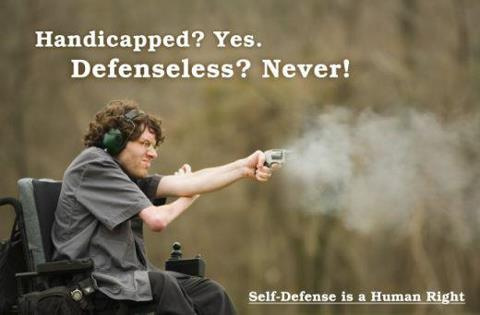 Do we deny the disabled the right of self defence, without a peacemaker we are denying them the right to equal force? “Whenever the legislators endeavor to take away and destroy the property of the people, or to reduce them to slavery under arbitrary power, they put themselves into a state of war with the people, who are thereupon absolved from any further obedience, and are left to the common refuge which God hath provided for all men against force and violence.” John Locke, Two Treatises of Government, 1698. 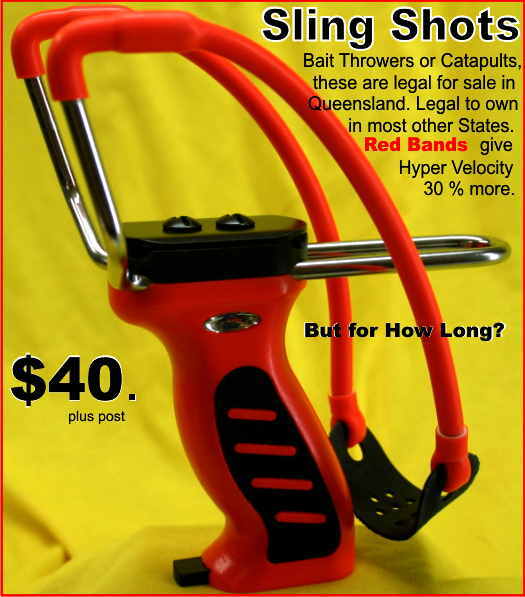 BAIT THROWERS Sling Shots as seen in use on the Streets of Bankok. If you cannot get a firearm seems as though these are the next best thing to take on the M16 opposition. Even though they lost the battle for the streets they won points for bravery. These have an internal magazine for quick loading, Extra effective using round lead musket balls for ammo. $ 40 Plus $10. to all Australian States, If you have a friend that wants one we can get two or three into the same post bag. 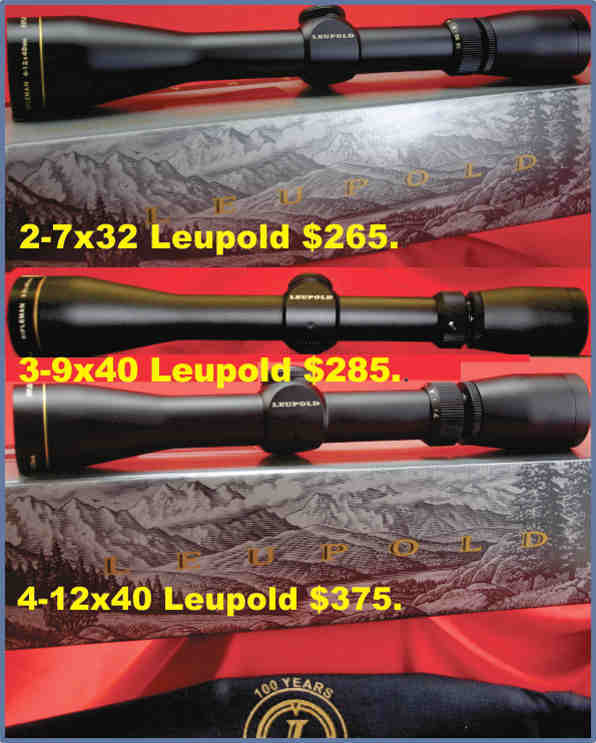 Tasco 4x 32 Silver Antler Rifle Scope Thirty years ago we would have paid a $1000. for the same quality of vision and precision, a guaranteed leading optical manufacturer who warranties their products all over the World. They have a light gathering clarity that would have made those old dark Pecar’s appear like looking through a knot hole in fathers wooden leg. What’s more they are Waterproof. In 1970 during a storm in the Victorian mountains I can remember emptying my Pecar like a jug. It had a steel tube but it leaked like a sive.I was so disappointed I hunted Samba for years with open sites as I wanted reliability. I took the low priced option then and will always follow that example, at this price I could afford to buy a spare one. $50. plus postage.